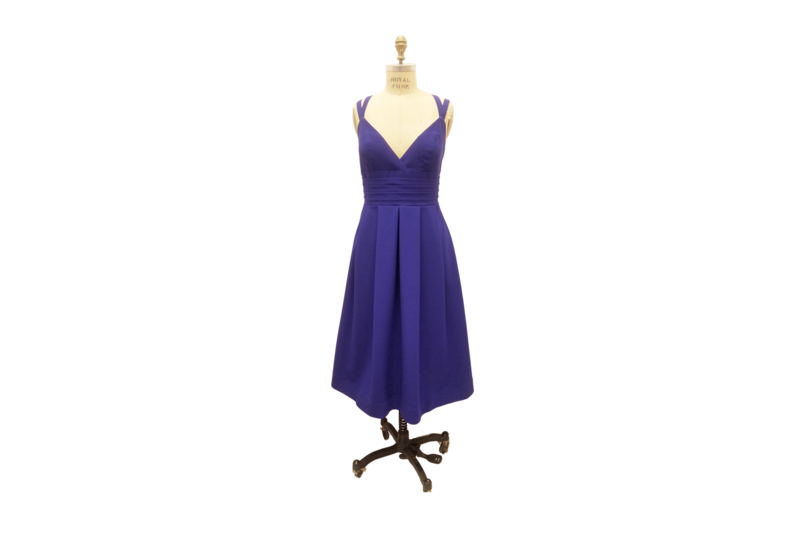 This figure-flattering dress features a wide pleated waistband, an a-line midi length skirt and 3/4″ double shoulder straps. There is a knit poly lining in the interior with side pockets in the skirt. The v-neckline bust is light lined.